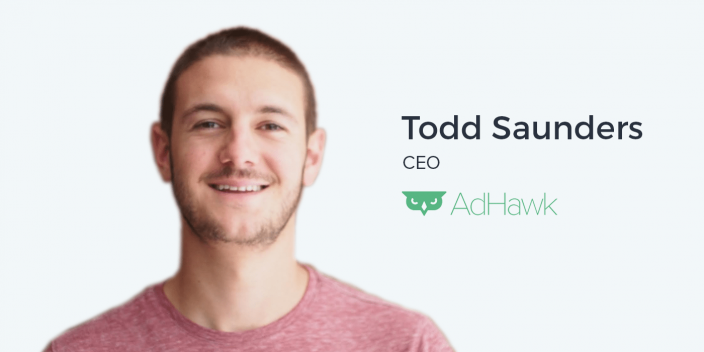 Todd Saunders is the CEO at AdHawk, a digital advertising software that aggregates and optimizes digital ad data to take the complexity out of digital advertising. AdHawk is a graduate of Techstars Boulder in 2015. Before taking the startup plunge, Todd worked on the AdWords team at Google, where he helped high growth startups and small businesses with their digital advertising strategies. He is an expert at optimizing advertising accounts and improving ROI. Todd is also a contributor at Search Engine Land. Marketers can’t do everything. Even if a member of your team has a full-stack digital marketing skill set, it’s possible they aren’t able to execute on channels well enough to determine if they actually work. It frequently takes an expert to properly execute on a channel well enough to determine its efficacy. Sometimes, the nuances of a channel are only accessible to a seasoned practitioner. Direct response advertising and PPC channels are most frequently used as a form of customer acquisition. However, these forms of advertising, as well as display ads, can have secondary benefits beyond sales opportunities that also generate significant ROI. The business development or partnership opportunities generated by digital advertising campaigns might present greater or equal value, even when compared to revenue opportunities. Voice search is among the new and evolving technologies that could dramatically impact especially within AdWords, search engine marketing, and other digital advertising. Ads triggered by specific keywords will have to adapt to different types of queries that reflect human speech patterns instead of written text. It’s also interesting to consider how Google and other SEM advertising networks will deliver ads without a written or visual component for an audience to reference. It’s a challenging question, and the solutions are not clear-cut for the marketers or the advertisers. Ander: Here again in New York for Advertising Influencers with the is the founder and CEO of AdHawk, Todd Saunders. Todd, thanks so much for having me into your office here. We are in the Chelsea neighborhood of New York City, is that correct? Todd: We are. We are a couple of blocks away from Google, right next to the High Line and actually right above 1 Oak nightclub, a place I’ve never been but I get to hear their music every day. So that’s fun. Ander: Hmm! Ok, I saw that they were closed for a private event today so maybe the music won’t be quite as loud. Todd: Every day is a private event for them, I think. Ander: Haha. Gotcha Alright. Again, thanks so much for having me here. I really appreciate you taking the time to sit down and chat with us on this podcast. I think the best thing to do to get started, even though I explained a little bit about it in the introduction, is for you to tell us about AdHawk. It’s a really, really cool product but you’re going to do it much more justice explaining it than I will. Todd: Yeah, so you can think of AdHawk like your digital marketing account manager in your pocket. And I think it would help to just give you a little bit of my back story so you can understand where it came from. Todd: My co-founder and I actually met on the AdWords team at Google. We were account managers there working with small businesses so our job was to help thousands of small businesses do two things: understand their data in their AdWords account and then, based on that, what optimizations to take or, really, what next action they can take based on what the data is telling them. Ander: And how can we define ‘small business’? Just to get a ballpark. Todd: Yeah, so it was companies spending less than $2,000 a month on advertising. Todd: So you can imagine, we’re working with advertisers only spending $2,000 a month, it’s more of a scaled program so we get to see thousands of advertisers. But as you make your way up Google, you start working with less customers that spend more. So during our second year at Google, we actually started a team called Accelerated Growth and on that team we worked with high-growth start-ups to basically help them scale. So instead of working with thousands of companies, we worked with ten. And instead of budgets being $2,000 a month, budgets were $2 million a month. We heard that time and time again and when we looked at the industry of account managers at Facebook, account managers at Google… you have account managers everywhere. There needed to be a one universal account manager, whether that be a person or software, that can tell you the story about the data and help you optimize. And that’s really the story behind AdHawk. Todd: We joined Techstars in 2015. It was just two business co-founders and I think all odds were stacked against us if you look at two business co-founders. Todd: We applied to Techstars with no product, no engineers, no traction. I think we were one of the earlier companies to ever join Techstars. Ander: You made it very difficult for yourself. Haha. Todd: Made it very difficult for ourselves but it installed a sense of hustle that we needed and efficiency in order to keep up with everyone else. Todd: And that’s been part of our culture today. So to give you some more about AdHawk… We have a mobile app and a web app that update in real-time. They are connected to Facebook ads, Instagram ads, Google ads, YouTube ads, and Google Shopping ads. And what it does is tells a story around your data. It’ll tell you that women in Chicago are converting at a $30 CPA but men in Wisconsin with this income level are converting at a $50 CPA. It’ll tell you a story about who your customer is based on location, gender, age, how much you’re spending, and then we’ll provide you with recommendations on how to optimize your account based on that. And then they can accept or reject any of those recommendations. If they accept, that change is then automatically applied to their account. So no different than what we did as account managers, just way more scalable and across all platforms, not just Google. Ander: So it’s a virtual account manager in some ways? Todd: That’s a great way of thinking about it. Ander: Awesome. That’s really cool and you went into this a little bit already, but I’m curious to hear more about your marketing philosophy. We all have one, whatever it might be, but I’m especially curious to hear how it’s changed since you’ve started AdHawk. Obviously you had to grow this company that is helping grow other companies. Todd: Yeah, it was very interesting. We started very much with the philosophy of ‘do things that don’t scale.’ So we tried to find any hack or any way we could get by with growing business without really spending any money. It was a way of targeting people totally for free, giving them ‘questions’ but really just telling them the answers and it was 100% free as long as we opened up an email for every $50 that we spent. We did some stuff like that at the beginning and I think in order to target marketers they can see through a lot of the, ‘download this whitepaper, maybe listen to this podcast,’ which, of course, I’m on a podcast. Ander: Yeah, we’re in a similar situation in that we’re both marketers who market a marketing product to other marketers. Haha. Todd: Exactly. And some marketing people just know if you write a lot of whitepapers and then you see a whitepaper or an e-book online, you can kind of see through that a little bit and say, ‘Oh, well, they want my email, they want to know how much I’m spending. Maybe I’ll just tell them I’m spending more so that I can get the next e-book for free.’ There’s a lot of things you have to think about. You almost have to backwards engineer that you are speaking to a marketer. You almost have to out-market the marketer. Ander: That’s really interesting. There is a component of that that I actually do appreciate though when marketing marketing technology to marketers. If I see a marketing tool that is advertised to me – I see your ads on Facebook, as an example – I, as a marketer, know that I’m probably in a pretty solid category of someone who you’d want to be seeing your ads. Ander: If I see a well-done ad that’s done by a marketing company and then I get inserted into some sort of email drip or something like that that to me is actually well done, it validates the product, you know? Ander: But it’s totally different than some product that’s not in my area of expertise. You’re totally right. And on top of that, I think there’s a couple of other techniques that we used that were successful. I think the number one thing that we’ve done is we do ego-trapping a lot. So what I mean by that is we write a lot of content. It’s probably the number one way that we do get leads. And in the content, we’ll screenshot twenty different ads that we think are really good. We’ll write about them, we’ll talk about why they’re really good, why their products are really good, and then we’ll reach out to those marketers to say, ‘Hey, you were on our list of Top 20 Products,’ massage their ego a little bit and allow them to share it. And we do that a lot. You definitely draw the line of, like, is this click bait-y or is this substantial content? And you have to be a lot closer to the substantial content. But we try to do as much as we can when it comes to writing strong content, adding in other people as part of the content – whether that’s a quote that they shared, whether it’s mentioning their business so they can help us share it – because if someone like that is sharing our product, it gives us some validity to what we’re doing and other big names in the business. Now, since launching AdHawk… how big are you guys now? How big is the team? Todd: We are twenty people now. In the last two years, we’ve grown the team from zero people to twenty people. We now actually have engineers on the team so that product is moving. Ander: That’s very good to know! Haha. Todd: Haha. Yes, it is, yeah. The product is moving really quickly and we actually just celebrated crossing $2 million in annually recurring revenue a couple of weeks ago. Todd: We’re excited about the progress we’ve made but the digital advertising space is big and it’s only getting bigger so we are a speck among the opportunity and we’re excited about the future. Ander: So being a speck among the opportunity there, what are some of the unique challenges that you face as that little speck right now? there are so many different advertising optimization tools to choose from. How do you deal with that here at AdHawk? Ander: Yeah, because that’s hundreds of thousands of dollars more, if not more. So we’ve tried to take the algorithm and the optimization outside of that black box by allowing customers to fully see what our algorithm is coming up with and allowing them to take that final action. And that’s been really a huge value add for our customers and a huge selling point for us. The other challenge in this industry, I think, is there’s a lot of people out there that claim they can do things that maybe they aren’t qualified to do, or that they say they’re powered by something that they’re actually not. If you’re a marketer, you probably get ten or twenty emails every single day from someone saying, ‘I’m an SEO master and we do SEO for all these different companies.’ And same with paid advertising. So we’d have to break through from that noise when our customers are getting berated with cold emails every single day. It’s a bit of a challenge but, again, I think you said it best: if you see our advertising, you see our content, you see some of the podcasts that we’ve done ourselves, and you find it interesting and you end up converting, you’re then automatically bought in to our product because you see the value in it. What are some of the big mistakes that you see people making with advertising? Todd: The biggest one I see is marketers can’t be good at everything, right? I’ve seen big companies spending millions of dollars that will say, ok, you know content marketing or you’re our podcast guy or you’re our TV producer, and because you know marketing we’re going to go have you manage our AdWords account or our Facebook ads account. And, I believe that person can handle it and most of the time can hold down the fort. But when you’re spending that much money it’s such a niche skillset to know that what I find is that you get this person thrown in this position, they can hold down the fort but they’re a little bit over their head, A) because they’re doing a million other things like everyone at every start-up, but B) it’s a very, very specific skillset. What ends up happening is they’ll try a strategy or they’ll try Facebook in general or just Google in general and they’ll say, ‘It’s not working,’ and they’ll shut it down and just say, ‘It doesn’t work for us.’ If you actually look underneath the hood, there was a small setting or a small adjustment or a small targeting thing that all of a sudden their cost for acquisition goes from $50 to $10 and they’re like, ‘We completely said no, we’re never going to advertise on Facebook again or we’re never going to advertise on Google again,’ but they didn’t actually give it a fair shot with someone that was knowledgeable. They just kind of hoped that what they were doing was correct and if it didn’t work that one time, it was never going to work. We see that happen all the time. Todd: Another big mistake people make is we live in a mobile world and if you want to advertise on mobile, you need to make sure your site is mobile optimized. And, that doesn’t just mean you can pull up your website and when you pull it up it renders correctly. I mean, you guys know that at Instapage. The form needs to be a certain way and you need to use analytics to figure out where certain elements need to be. It’s not just that it renders properly. Ander: There’s also a psychology aspect behind it too. Normally when you’re on mobile you’re probably engaged in more discovery than actually purchasing or engaging in that conversion. When you get to that post-click landing page, your attention span is even lower. There’s probably other things going on around you, you’re on public transit or whatever you’re doing. It’s not just actually having the page look presentable. It’s the psychology of it as well. Todd: 100%. And you have to be able to tell the right story. You shouldn’t be looking at these ad campaigns as: is this campaign working? Is this mobile device or post-click landing page working? It’s is the funnel working? If you can get really qualified traffic from mobile devices into a specific post-click landing page, telling a specific story, you may not necessarily see a lot of conversion. But what you might see is your brand searches go way up when you advertise for this top-of-funnel mobile traffic because these people are coming to your site. They aren’t ready to convert that day but over the course of the next week, month, or couple months, they may come back and actually convert on your site whether you do that through your marketing or you do that some of your own channels. Todd: I just would recommend looking at all of your paid advertising, not just on a campaign by campaign basis but an entire funnel and how they affect each other. Ander: Exactly. Now, the tricky thing with that is attribution. Todd: Attribution is extremely difficult because every company wants to have their own attribution and define a conversion the way they want to define a conversion. We’ve seen Facebook mistakenly over-count that recently. But yeah, that is definitely an issue. At the end of the day, you can use some third-party tracking pixels if you do want to. But if you know the products well enough, you can set it up that they’re all pretty similar with very little waste. Ander: Does AdHawk address any of that? Todd: In terms of attribution, we sit on top of Google and Facebook’s attribution but we do hope you align the settings so that they equal each other. Facebook counts a lot of view-through conversions whereas Google and their conversions column doesn’t do that. You can add in other columns for that but it doesn’t. We just make sure that whatever you’re doing on Google aligns with whatever you’re doing on Facebook. If you do include view-through on Facebook, then we make sure to include view-through on Google and vice versa. Again, I don’t think there’s necessarily a right way to do attribution as long as it’s consistent across your channels. That is the most important thing. It’s not ‘Do I count view-through? Do I not count view-through? Do I count 5-day? 1-day?’ Just be consistent and the rest should take care of itself. Ander: Do you think that marketers, advertisers, and brands are under-personalizing their advertising, and not taking advantage of the degree to which they can get really granular with their audiences? A good example is a lot of our customers use Gmail ads. Gmail ads are pretty cool. They allow you to target businesses based on who they’re sending emails to and what they’re saying in their email. Now, that sounds creepy but it’s no different than I can target you based on what you’re searching in Google or I can target you based on the things you’ve searched previously. Todd: It’s all the same. But as a marketer we just think way too much about it. But I think the average customer appreciates a highly targeted ad that doesn’t feel like spam. As then soon as you see an ad for something that you actually really want and you like, it’s actually a good feeling. I don’t think that ads always have to feel that bad. We’ve gotten some feedback from customers that have told us that they wished that they could have an Instagram feed of just ads because it’s a good way to discover products. I know I’ve bought products off of Instagram ads multiple times of things I never knew even existed. Ander: Oh yeah. That’s how I found out about AdHawk for the very first time. Haha. Todd: There you go! It’s actually funny. Our ads have not just helped us with sales and growing the business obviously, but we’ve had conversations recently with HubSpot and with Google and both of them found us from an ad. We’ve actually had business development opportunities from people seeing our ads, not just sales opportunities. Ander: One of the things that I think is interesting is that as the level of advertising personalization continues to increase, there might be some “creepy stuff”… Maybe they’re sending ads to you in your Spotify playlist because of data that’s being collected in your car or something like that. Ander: But I think that there’s a case to be made that as these ads become more and more relevant, people are going to be bothered less and less by them. Do you think that that’s true? Todd: I think that’s true. Actually, I have this conversation a lot with my friends that aren’t in tech. Todd: Yeah. And the truth is we look at it very differently. Google, Facebook, all these companies would rather the customer pay $5.99 for unlimited Google searches. The problem is, if you say that to someone, they’ll say, ‘No way! Google should be free forever.’ And the truth is, if you want to keep using Google or keep using Facebook or Instagram, they have to make money somehow. There’s a big demographic that is up in arms about advertising. And I get it; there is some spammy advertising. There is some advertising that makes it so that when you’re on an article you can’t even read the article without getting so many ads. Ander: Ugh. That is awful. Todd: Yes, that’s awful. Totally. But I think Facebook and Google have both done a good job of controlling that and doing it in a way that doesn’t ruin the user experience. But they have to make money and if anyone is willing to pay them $5.99 or a quarter every time they make a Google search, they would rather that but that’s just not the cultural norm right now. Ander: No. And the other thing though is that Google makes software that allows you to block ads. Ander: I mean, the company that needs to make money from the ad revenue is also giving consumers the opportunity to not see those ads at all. Todd: Not see those ads and provide feedback on those ads like, ‘Hey, I don’t want to see this. This is why I don’t want to see this.’ On YouTube you can skip the ads. So there’s a ton of different ways that they offer that. There’s, YouTube Red, the paid subscription service with no ads. Todd: They want quality too. It doesn’t help them to have not-quality, untargeted ads in their feed. That doesn’t help anybody. The couple of dollars they’re getting in revenue from that is a drop in the bucket for these guys. They would much rather have quality advertising, happy customers, and happy advertisers. Ander: What makes poor advertising? What’s something that you see people doing right now that is just resulting in these awful, awful ads? Too many times people say, ‘Alright, here’s my target market, and here’s the one message that all of them are going to attribute with.’ That’s just not the case. I would highly recommend before you start, before you put any money in advertising, really define those four personas – define who they are, why they want your product, how much money they’re willing to spend on your product, and then I would challenge you to open up another persona of someone that is wildly different than that and open up another persona of someone that is wildly different than that. Because one message, as you guys know, one post-click landing page isn’t going to just attract all of the people that you’re targeting. Ander: Our philosophy is that every ad, or at least every campaign, every promotion, needs a page. Todd: Yes. I would totally agree. If you have the ability to do that, I would sign up for Instapage and get that done. Haha. Ander: Haha. Well, that’s why we built the platform! So thank you for the kind words there and the shameless plus, I suppose you could say. But what is the space going to look like a few years from now and how can we as marketers and as advertisers prepare for this coming future? Todd: To be part of everyone else, that’s a big question. But I’ve seen a couple of things. So, one of the more interesting things I’ve read recently is about how voice search is going to affect Google AdWords in particular. So when people are searching, they say things differently than how they would type them. Todd: So there are now, if you look at your Google search terms, you can see people asking more questions rather than giving prompts. Todd: Because they’re using voice to do those searches. Todd: But then what they’re going to do is they’re going to do that and it’ll come up with a search on their phone, right? They’re going to use their phone to do that search then it’s going to come up with some ads and they’re going to click on the same ad that would have come up if they could have just typed that into Google themselves. So we’re seeing the types of searches change. I’ve seen from direct searches and prompts to more so questions. And, you can change your keywords that way in order to help you. On the Facebook side, I’m not too sure how voice is going to affect what they’re doing but what I am seeing just in the industry as a whole is consolidation. We see these companies that are, you know, very specifically focused on email marketing or these other companies that are focused on, maybe, making great post-click landing pages and these other companies that are really focused on paid advertising. Ander: So it sounds like we all need to be looking at our funnels more holistically. Todd: Yeah. I would definitely say that’s a good summary. A better summary than what I said there, yeah! Ander: Haha. Awesome. Well, Todd, this has been a really interesting conversation. I love what you guys are working on at AdHawk. You’ve got a kind of neat office here right in Chelsea above a nightclub that you’ve never been to which, again, is very interesting. Maybe you’ll have to go at some point. Todd: They don’t allow people in t-shirts and shorts. Haha. Ander: Oh, I see! Ok. Haha. For sure. Well, thanks again. I really appreciate you taking the time to do this. If people want to take a look at AdHawk and they want to learn more about you guys, what is the best way they can do that? Todd: You can visit our site. It is tryadhawk.com – T-R-Y-A-D-H-A-W-K.com. We’re also very active on Twitter, so if you tweet @AdHawk or even at myself @ToddSaunders, we try to enter AdHawk questions or just digital marketing questions in general. So, feel free to reach out. Ander: Yeah. And check out their ads. Hopefully you’ll see them because they’re really good! Ander: Alright, Todd. Thanks again. We’ll talk to you soon.